The son of John Charleston, blacksmith, and Elizabeth, née Williams, David Morley Charleston, craft unionist and engineer, was born at St Erth, Cornwall on 27 May 1848. He was educated at the national schools and with a private tutor, and became an engineering apprentice at the ironworks of Harvey and Company in Hayle. By 1870, he was a member of the Amalgamated Society of Engineers, and for the next four years was active in the labour reform movement in London. Charleston then worked in the United States for the Pacific Mail and the Occidental and Oriental Steamship companies as a marine engineer. Ten years later, he arrived in Sydney going on to settle in South Australia, where he worked with his brother in a lime merchant business in Adelaide. He became clerk of works for the road board, and then an engineer with the Adelaide Steamship Company, in 1887 moving to the English and Australian Copper Company’s smelting works. Charleston later recalled the ‘stirring times’ of 1889 and 1890, when the ‘political band began to play’. He fitted easily into the social democratic idealism of South Australia. Soon after his arrival in Adelaide, he visited the office of the Amalgamated Society of Engineers at Port Adelaide, and as a result became the Society’s representative to the newly formed United Trades and Labor Council (UTLC). He was elected UTLC vice-president (1888) and president (1889–90). Charleston also became president of the Women’s Trade Union and, at the end of 1888, was made a Justice of the Peace. He was chairman of the Eight Hours Protective Society and an active member of the Homesteads League. He joined the Democratic Club and the Cornish Association. Charleston brought to the South Australian labour movement a broad liberalism. Speaking at the Democratic Club in November 1890 and questioning trade union practices (with indirect references to the 1890 strike), he enunciated his vision for a ‘united’ and ‘progressive’ unionism, which would give every worker the ‘freedom . . . to raise and elevate himself . . .’. Earlier in the year, he had stood on behalf of the UTLC as a Legislative Assembly candidate for the seat of Port Adelaide. In January 1891, Charleston, with R. S. Guthrie and A. A. Kirkpatrick, was selected to stand for the Legislative Council by the newly formed United Labor (ULP) Party of South Australia. All three were good speakers who made a concerted effort to promote Labor’s campaign program, which emphasised social justice, an increase in land tax and a widening of the franchise for the Council, especially in country districts. Their success, at the May election, was hailed as a triumph as Labor celebrated its entry into the South Australian Parliament for the first time. Charleston topped the poll for the Central District. He said that he hoped his success would bring ‘conciliation instead of strikes’. To Charleston, politics was ‘the most important thing any one could take part in’. Supporting the progressive measures of the Kingston Government, he voted for women’s voting rights, the extension of the vote to leaseholders and the removal of property qualifications for the Legislative Council franchise. A consistent advocate of closer settlement and land ownership schemes, he was a member of the select committee on unemployment. In 1900, he successfully introduced a motion advocating proportional representationfor the election of members to the Federal Parliament. Despite describing himself as a ‘Socialist’, Charleston maintained the right to act and vote as he wished. In 1892, during the Legislative Council debate on the Government’s Conciliation Bill, he expressed his belief that the Bill’s compulsory provisions would place ‘an iron hoop’ around the trade unions. He believed unionism should be by choice and feared the Bill ‘would prevent [the Unions] from expanding . . .’. He said that he would vote in support of the Bill because his party was ‘extremely anxious that something should be done in the direction of stopping strikes and lockouts . . .’. Later, Charleston was the only Labor member of the Council to support Richard Baker’s conciliation bill, which omitted the compulsory provisions. By 1896, United Labour Party leader Tom Price was protesting against Charleston continually voting against Labor in Council divisions ‘without any apparent reason’, and being absent from divisions, ‘also without reason’. Although Charleston had attended the inaugural meeting of the South Australian branch of the Australasian Federation League in August 1895 as a Labor representative (supporting the Party’s principle of ‘Federation on a democratic basis’), the Party refused to endorse him as a candidate for the 1897–98 Australasian Federal Convention. Charleston then severed his ‘connection’ with the ULP and, in August 1897, resigned from the South Australian Parliament. Charleston’s resignation was a blow not only to Labor, but also to Kingston’s Liberals, whose social reform program was dependent on support from a sufficient number of Labor members in the Council. His decision to stand as an ‘Independent Liberal’ at the South Australian election in September (with the backing of the Amalgamated Society of Engineers, the National Defence League and the conservative press) angered Kingston. From the Sydney session of the 1897–98 federal convention, he telegraphed a message to the Adelaide press, accusing Charleston of having ‘wrecked’ the coalition of Liberal and Labor interests. At the Council election of September 1897, Charleston defeated the Labor candidate. As an Independent, Charleston said he felt ‘free to speak’. During his final three years in the Council, he criticised the Kingston Government for what he claimed was its ‘disguised’ protectionist administration, its incomplete franchise reform and its failure to properly manage the village settlement scheme. He was also critical of the Labor Party which, he said, ‘practically censured’ the member ‘bold enough to speak out’. At the 1901 federal election, he stood, successfully, for the Senate as a Free Trade candidate. He drew on his early experiences in Great Britain and the United States to illustrate the benefits of free trade, commenting that the tariff had done ‘nothing for the engineering trade in South Australia’. He emphasised the Senate’s role as a protector of the ‘powers and privileges and rights of the States’. While he defended the executive’s right to determine revenue needs for ‘the ordinary annual services of the Government’, he opposed the ‘tacking’ of ‘unusual items’ on to appropriation bills as being contrary to section 54 of the Constitution. He argued that such requirements should be presented as ‘special Bills’. While Charleston acknowledged New South Wales’ constitutional right to have the capital situated in New South Wales, he opposed the ‘great excesses’ of cost associated with the ‘committees and picnics’ surrounding the site’s selection. Charleston supported the White Australia policy, though he opposed the dictation test as an insult unworthy of a civilised country. 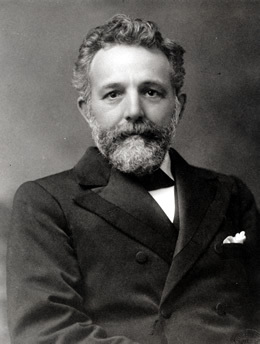 He used the Sugar Bonus Bill debate in 1903 to point out that South Australia, by not allowing coloured labour into the Northern Territory, had upheld the White Australia policy at considerable financial cost to itself. Charleston wanted Australia ‘at the dawn of a new century’ to take a ‘statesmanlike’ and independent approach to major policy matters, as he was sure that ‘to-day the civilized world’ was ‘watching and studying the speeches made by the members of this Parliament . . .’. Charleston favoured an unhurried approach in framing legislation. In the South Australian Parliament, he had urged that the Federation process ‘must be of a slow and natural growth’. In the Commonwealth Parliament, he opposed the early creation of a High Court; and also the ‘folly’ of debating the Franchise Bill before its mechanism, the Electoral Bill, was in place. Indeed, as a proponent of proportional representation, he did not approve of the Electoral Bill at all. He considered that those in favour of electoral systems which resulted in an absolute majority would be disappointed, ‘because they have been counting heads rather than the thoughts which those heads contain’. Charleston was defeated at the federal election in 1903 at which Labor won all three seats for the Senate in South Australia.In 1904, he agreed to a request from the Farmers’ and Producers’ Political Union (FPPU) to become its state organiser. (The FPPU had been formed during show week.) He stood again for the Legislative Council in 1905 and, with Josiah Symon and Joseph Vardon, for the Senate in 1906 on a joint ticket between the FPPU and the Australian National League. On each occasion he was unsuccessful. By 1909, he was general secretary of the FPPU and negotiated the gradual fusion of South Australia’s non-Labor political bodies (FPPU,Australian National League, and Liberal and Democratic Union) into the Liberal Union (1910). He made one last, but unsuccessful, attempt to regain a Senate place as a Liberal Union candidate in 1910. In 1914, Charleston, who was a member of the Council of the University of Adelaide, travelled to England to inquire into technical education, taking leave from the Council of the South Australian School of Mines and Industries (he was to achieve an association of nearly forty years with the council). He died on 30 June 1934 at his home in Mile End, South Australia. On 24 December 1895, he had married the widowed Mary Foster, née Cook, at the Glebe Presbyterian Church. Mary died on 27 October 1897. Two stepdaughters, Muriel and Daisy, survived him. Senator Pearce, regarded Charleston ‘ as one of that remarkable band who represented South Australia in the first Senate’. Charleston had played a formative role in the development of both the South Australian Labor and Liberal parties. He was one of Labor’s first voices in the South Australian Parliament and one of the first non-Labor senators. Charleston’s own view was that ‘the reward has been small enough, yet I cannot feel that all has been in vain’. Dean Jaensch, ‘Charleston, David Morley’, ADB, vol. 7; J. J. Pascoe (ed. ), History of Adelaide and Vicinity, Hussey & Gillingham, Adelaide, 1901, pp. 332-333; Mail (Adelaide), 31 January 1914, p. 8; Jim Moss, Sound of Trumpets: History of the Labour Movement in South Australia, Wakefield Press, Netley, SA, 1985, pp. 58, 132; United Trades and Labor Council of South Australia, Minutes, M15, Butlin Archives, ANU; D. J. Murphy (ed. ), Labor in Politics: The State Labor Parties in Australia 1880-1920, UQP, St Lucia, Qld, 1975, p. 232; Adelaide Observer, 23 May 1891, p. 33. Moss, The Sound of Trumpets, p. 186; T. A. Coghlan, Labour and Industry in Australia, , Macmillan, South Melbourne, Vic., 1969, vol. 3, p. 1556; D. M. Charleston, ‘New Unionism’, lecture delivered at the Democratic Club on 16 November 1890, reprinted in Pioneer (Adelaide), 13 December 1890, pp. 34–38;Murphy, Labor in Politics, pp. 235-8, 258, 240; Advertiser (Adelaide), 11 May 1891, p. 6; SAPD, 26 August 1891, pp. 896–897; SAPD, 14 August 1894, pp. 890–891, 12 September 1894, p. 1306, 21 November 1895, p. 2281, 12 August 1896, pp. 148–149, 2 July 1896, pp. 56–57, 25 July 1894, pp. 649–650; SAPP, Report of the Legislative Council select committee on the unemployed problem, 1894; Eric Richards (ed. ), The Flinders History of South Australia: Social History, Wakefield Press, Netley, SA, 1986, vol. 1, pp. 592–593; SAPD, 19 September 1900, pp. 191–193. SAPD, 2 July 1896, p. 56; Moss, Sound of Trumpets, p. 163; SAPD, 13 December 1892, pp. 2057–2059; Coghlan, Labour and Industry, vol. 4, p. 2103; Adelaide Observer, 28 August 1897, p. 22, 11 September 1897, p. 16; Australasian Federation League, Report of the Inaugural Meeting in South Australia, Adelaide, 1895, p. 5; L. F. Crisp, Federation Fathers, MUP, Carlton, Vic., 1990, pp. 141–142; SAPD, 18 August 1897, pp. 162–163; p. 245; Janet Scarfe, The Labour Wedge: The First Six Labour Members of the South Australian Legislative Council, BA (Hons) thesis, University of Adelaide, 1968, p. 14; Adelaide Observer, 18 September 1897, p. 41; Coghlan, Labour and Industry, vol. 4, p. 2293; SAPD, 5 October 1897, p. 191. SAPD, 21 December 1898, pp. 563–564, 30 June 1897, p. 36, 19 July 1898, p. 31. CPD, 14 May 1902, pp. 12554, 12557, 20 June 1901, pp. 1325–1327, 22 September 1903, p. 5260, 6 June 1901, p. 776, 15 November 1901, pp. 7343–7345, 18 June 1903, p. 1086, 30 May 1901, pp. 448–449, 461–462; SAPD, 27 July 1897, p. 96, 16 June 1891, p. 86; CPD, 5 August 1903, p. 3063, 5 March 1902, pp. 10619, 10621. P. Loveday, A. W. Martin & R. S. Parker (eds), The Emergence of the Australian Party System, Hale & Iremonger, Sydney, 1977, pp. 273-275, 286, 430, 444; Areas Express and Farmers Journal (Adelaide), 8 October 1909, p. 2, 15 October 1909, p. 4; Farmers’ and Producers’ Political Union, Half-Yearly Conference, Report of Proceedings and Public Meeting, September 1908. British Australasian (London), 9 April 1914, p. 18; South Australian School of Mines and Industries, Annual Report 1934 and Prospectus 1935, Adelaide, 1935, p. 34; Chronicle (Adelaide), 30 May 1929, p. 46; Advertiser (Adelaide), 2 July 1934, p. 14, 29 October 1897, p. 33; CPD, 4 July 1934, pp. 136-137; Mail (Adelaide), 31 January 1914, p. 8. This biography was first published in The Biographical Dictionary of the Australian Senate, vol. 1, 1901-1929, Melbourne University Press, Carlton South, Vic., 2000, pp. 144-147.